I have collected HP Spectre X360 13-AP0023DX drivers for Windows 10 64 bit. Download and install latest HP 13-AP0023DX driver to let your laptop work correctly. 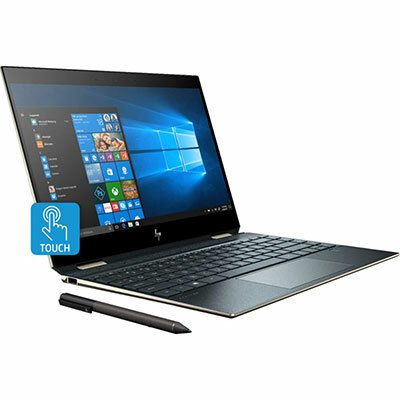 HP Spectre X360 13-AP0023DX is a 13.3-inches UHD touch-screen laptop powered by 8th Gen 1.8 GHz Intel Core i7-8565U quad-core processor with integrated Intel UHD Graphics 620 video card. This convertible notebook comes with 16 GB DDR4-2400 SDRAM memory and fast 512 GB PCIe NVMe M.2 SSD solid state drive to store your documents. This mobile PC features Intel Wireless-AC 9560 802.11b/g/n/ac (2x2) Wi-Fi, Bluetooth 5 Combo (Gigabit Wi-Fi speed), microSD media card reader slot, Thunderbolt 3 port, DP1.2, USB 3.1 Gen 2 port, USB 3.1 Type-C Gen 2, HP Wide Vision Full HD IR camera, quad speakers with Bang & Olufsen audio technology, and 4-cell 61 Wh Li-ion battery with up to 12 hours battery life.